NEW DELHI, 8 March 2019 – The principal representatives of three member organizations of the Asia-Pacific ESCO Industry Alliance held an informal meeting on the sidelines of the International Energy Services Conclave 2019, held in this city from 6-8 March 2019. TAGUIG CITY, Feb. 23 -- The Department of Energy (DOE) is appealing to the public for the deliberate and prudent use of energy, as the upward movement of oil prices in the world market has again raised the prices of petroleum products in the country. An energy-efficiency measure must be signed within the first quarter of the year if the country wants to realize P37.8 trillion in energy savings until 2040. 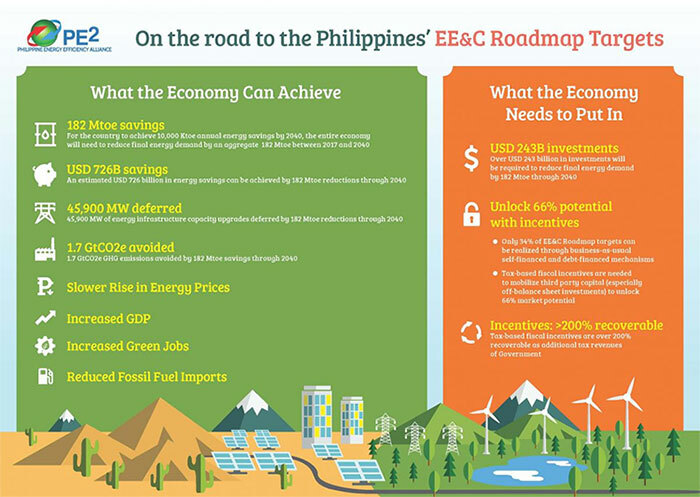 The Philippine Energy Efficiency Alliance (PE2) on Thursday stressed the importance of the Energy Efficiency and Conservation Act, which is in the process of transmittal to President Duterte for approval. PE2 President Alexander Ablaza said delays in the passage of the bill push back the effects of mandatory EE&C implementation, specifically dampening the rise in energy prices. 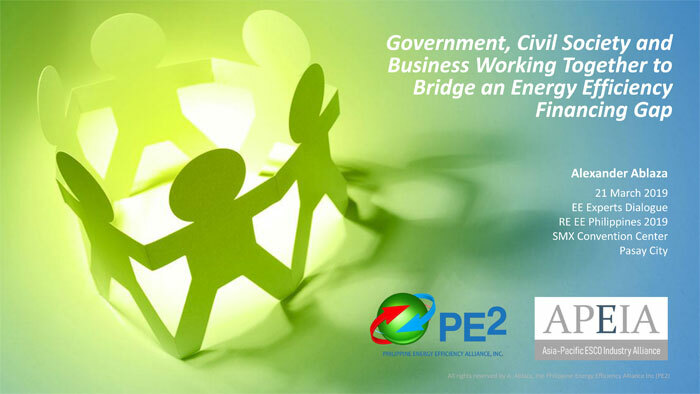 The Philippine Energy Efficiency Alliance on Thursday urged for the immediate signing into law of the Energy Efficiency & Conservation Act pending with the Office of the President. The group said every month of delay was depriving the economy from the P37.8 trillion worth of energy savings expected until 2040.